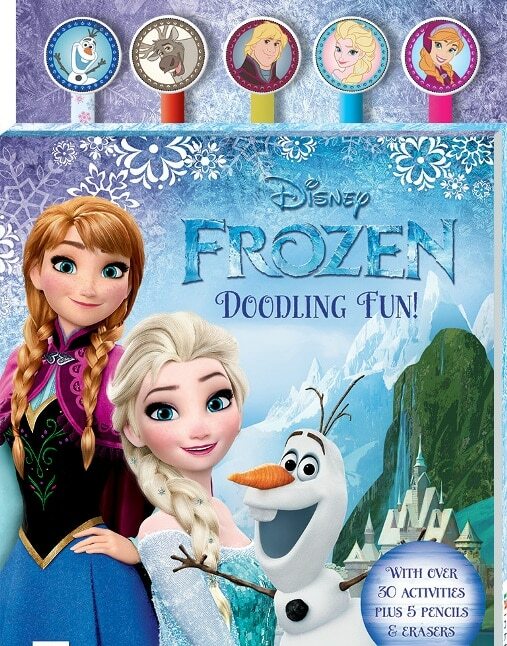 Have fun colouring, doodling and drawing for hours with the Frozen Doodling Fun book! Follow the instructions to finish the scenes inside featuring all your favourite Frozen characters. Then, colour them in! With over 30 activities plus 5 pencils and erasers, there are hours of fun to be had!